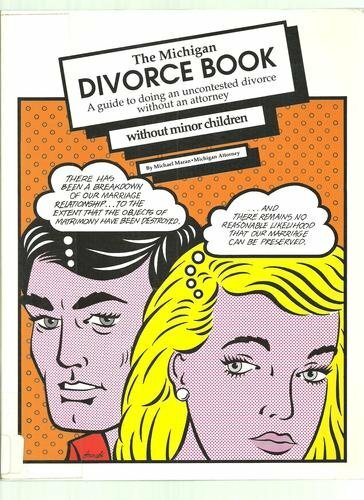 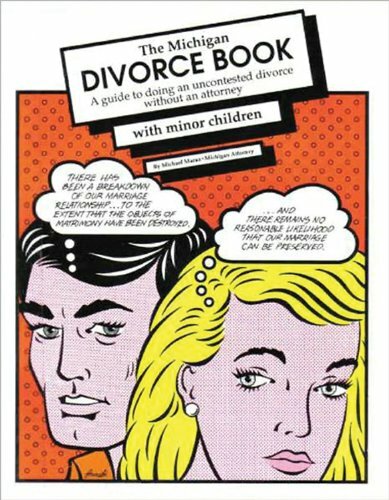 9781933272573, titled "The Michigan Divorce Book: A Guide to Doing an Uncontested Divorce Without an Attorney With Minor Children" | 10th edition (Thunder Bay Pr, March 3, 2016), cover price $34.95 | About this edition: Now there's a low-cost divorce alternative ― The Michigan Divorce Book. 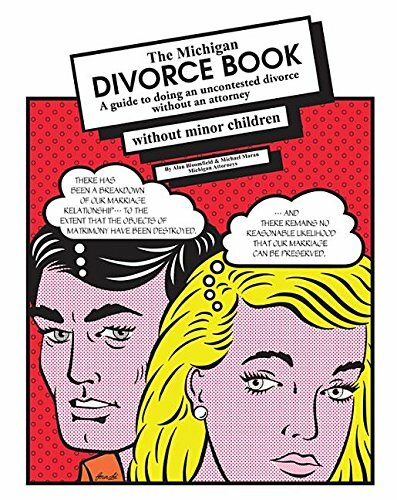 9780936343228, titled "The Michigan Divorce Book: A Guide to Doing an Uncontested Divorce Without an Attorney Without Minor Children" | 9 edition (Grand River Pr, May 20, 2013), cover price $28.95 | About this edition: A guide to doing an uncontested divorce in Michigan without an attorney, with complete forms and instructions. 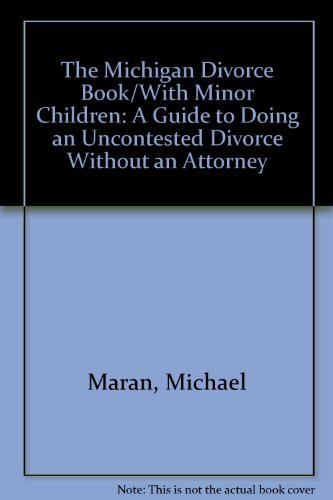 9780936343204, titled "The Michigan Divorce Book: A Guide to Doing an Uncontested Divorce Without an Attorney Without Minor Children" | 8 edition (Grand River Pr, January 1, 2009), cover price $28.95 | About this edition: Used by thousands of divorce-filers during the last 25 years, The Michigan Divorce Books have all you need to do an uncontested divorce in Michigan without an attorney. 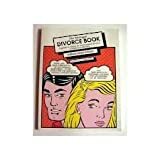 9780936343181, titled "The Michigan Divorce Book: A Guide to Doing an Uncontested Divorce Without an Attorney Without Minor Children" | Grand River Pr, March 1, 2007, cover price $28.95 | About this edition: Complete information, instructions, sample forms and blank tear-out forms for doing an uncontested divorce in Michigan without an attorney. 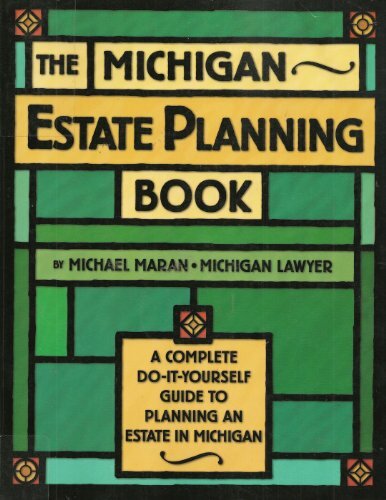 Product Description: A guide to doing an uncontested divorce in Michigan without an attorney with complete forms and instructions. 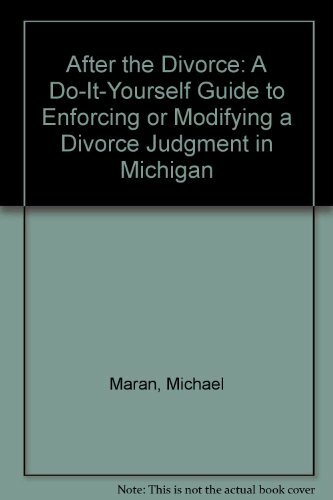 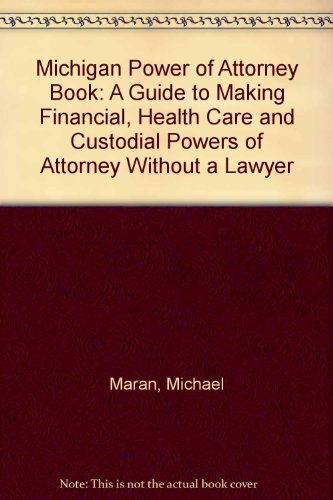 9780936343235 | 9 edition (Grand River Pr, May 20, 2013), cover price $34.95 | About this edition: A guide to doing an uncontested divorce in Michigan without an attorney with complete forms and instructions.